Promise to set the world on fire. Promise to add jazz and blues to the pyre. Promise more education for the rich. Promise the homeless a ditch. Promise to reward all tax evaders. Promise to welcome US invaders. Promise to kill off the sick and old. Promise to leave the unemployed in the cold. Promise to worship all arms dealers. Promise to exile helpers and healers. Promise to fund more law and order. Promise to build bigger walls at the border. Promise better bonuses for bankers. Promise free passage for all toxic tankers. Promise fewer trains in every station. Because I know I can rely on you. I’m quite certain exactly what you’ll do. You’ll do the opposite of all that you say. 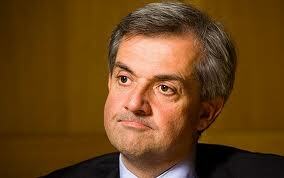 ‘This month the UK Climate Change Minister, Chris Huhne will go the UN Climate Conference in Cancun. He will have and incredibly important part to play there. We’ve been wondering “how we should wish him good luck?” And we want your suggestions for ways to grab his attention just before he goes. Stick it where The Sun can't shine!